Home Order Fulfillment Automation Solutions. Complementary Applications. RF Picking. Add speed and accuracy to low-volume picking processes. 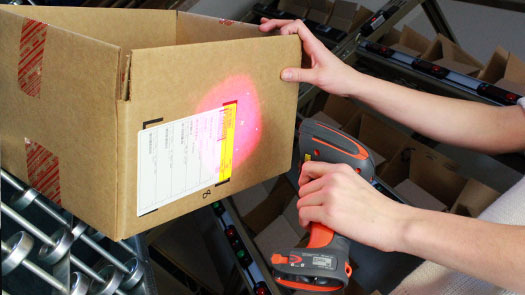 RF Picking offers a cost-effective alternative for applications within an order fulfillment operation with a large number of products and volume that does not justify installation of pick-to-light. LP RF operates on a wide range of scanning terminals, and can be added to a variety of existing, field-deployed terminals. Integration with the overall Lightning Pick software suite allows the configuration of some areas for pick-to-light, and others for RF picking. All areas share a common host interface, so that higher-level systems — such as warehouse management systems (WMS), enterprise resource planning (ERP) and other business hosts — view the pick area as a single, unified process. Orders flow freely between the different picking areas. The Lightning Pick server communicates with LP RF terminals through the facility’s 802.11 network. The terminal displays the intended pick location and other product specific information, such as the product code or item number. The system can be configured to require scanning of the product identification code, or product location number, to confirm the pick. 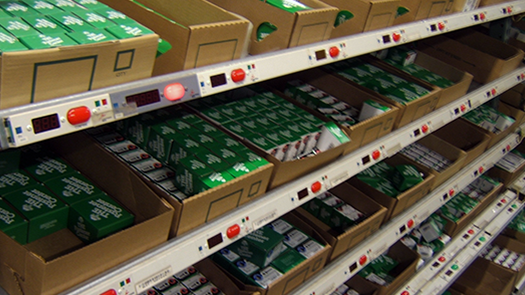 Multiple Order Fulfillment Processes, One Solution. 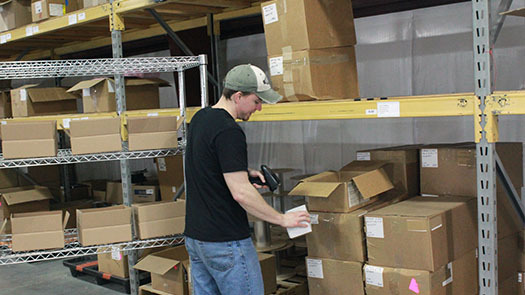 “Lightning Pick’s combination of pick-to-light for our fast moving SKUs, and RF picking for our low-volume areas, allowed us to go paperless throughout our distribution center for order picking…. Gear For Sports is leading provider of logoed and decorated apparel for collegiate, business and other markets. 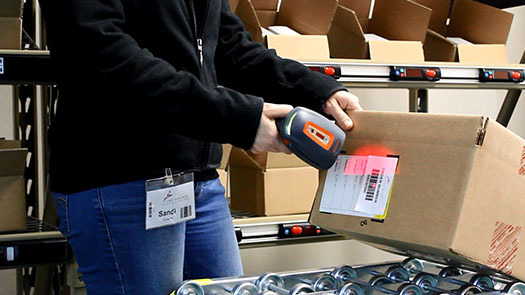 See how Lightning Pick’s integrated pick-to-light, RF picking, container routing, print-and-apply labeling and check-weigh automation solutions optimize order fulfillment at Gear’s Lenexa, Kansas, distribution center. Lightning Pick serves as key process management middleware between Gear’s Oracle ERP and several integrated, automated fulfillment technologies, including pick-to-light, RF picking, container routing and more.